Unless you want to wear a bio-hazard suit, here is a list of what you can do to avoid catching the Flu or Germs on an airplane. Every time you take your seat on an airplane flight, you’re traveling with some hidden companions, courtesy of the passengers (and those who came before you). No surprise that airline cabins, from the seats to the seat pockets and the tray tables and lavatories, are blanketed with germs. Here’s a scary fact – the average human loses 30,000 to 40,000 skin cells every hour, and our skin is covered in bacteria – some of which are harmful. An estimated 1% to 2% of people in the U.S. may be carriers of methicillin resistant staphylococcus aureus (MRSA), for example, which can produce sores on the skin and be life-threatening if it enters the bloodstream, many without showing any symptoms. According to National Air Traffic Controllers Association resources, there are an average 26,527 passenger flights per day and 5,000 aircraft in the sky at any given time over the United States. The latest NATCA data also indicates that 928,900,000 passengers were served during 2016. That averages to more than 2.5 million passengers per day across the USA. You might be shocked at the potential hazards of simply touching the seat-back pocket, the arm rests, tray tables, or the window shades while flying or on public transportation. The seat pocket is worse than the toilet handle! With its porous material and dark crevices, MRSA germs burrowed in there for eight days, while E. coli hunkered down in the armrest for seven days. Use bathroom BEFORE heading to the airport. Try to empty out your bladder beforehand and avoid hydrating too much before or during the flight. Why? Because you should avoid using the toilet on the plane. Study after study has shown that none of these is as effective against the spread of Norovirus as washing your hands with soap and water. Alcohol-based gels or wipes do not kill Norovirus. 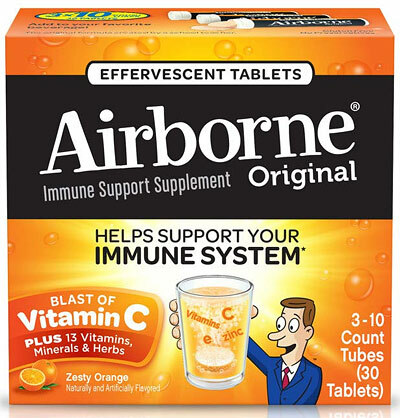 Anything marked “antibacterial” but not “antiviral” may not necessarily kill viruses of any kind. Benzalkonium chloride and Benzethonium chloride ARE effective against Norovirus in concentrations of at least .013%. 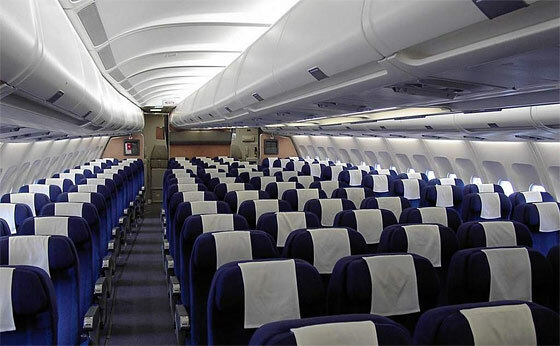 Other than washing your hands with soap and water (recommended), you obviously cannot wash other surfaces in an airplane – which is why it’s recommended to carry sanitary wipes with you. 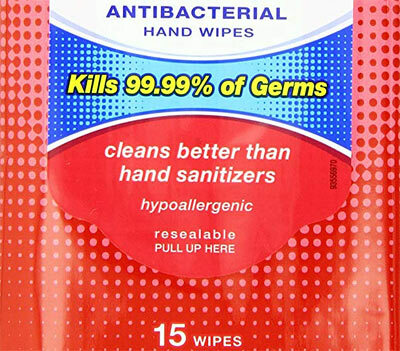 These Antibacterial Sanitary Hand Wipes ARE effective with 0.3% Benzethonium Chloride. Don’t use the toilet on an airplane. Unless you absolutely must go, stay out of the restroom. Typically there is approximately 1 toilet per 50 passengers on an airplane. Hundreds upon hundreds of people use these bathrooms during the day. Need I say more? Better habits to avoid germs in airplane bathroom. If you must go, use a napkin, towel, or ‘wipe’ to open the door latch. Then throw it away. Use your elbow to open the bathroom door inward. Use a sanitary wipe and/or seat cover for the toilet. Note that not only the toilet, but the area around the tiny sink is notoriously teaming with germs. Wash your hands (20 seconds) before leaving the bathroom! 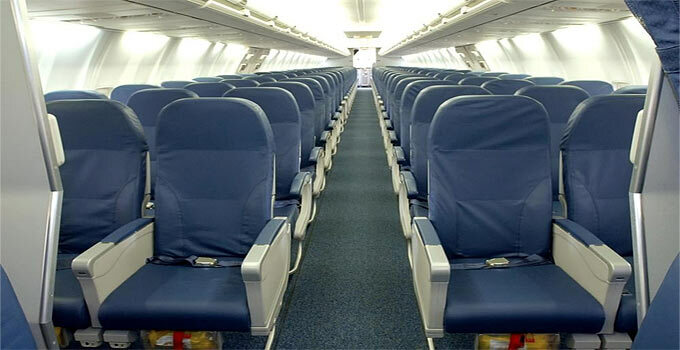 While most people like the aisle seat, they are the most likely to contain germs, infections, virus, flu, etc.. If it isn’t yours, don’t touch it. Avoid touching surfaces that you don’t need to touch. Sometimes you must, however you have a choice. For example don’t thumb through the magazines in the seat-back pocket in front of you. Bring your own reading material. Clean the Arm Rests and Tray Table with Sanitary Wipes. While presumably there is some sort of cleanup between flights , don’t count on disinfection. Bring your own. Don’t use or touch the tray table unless you must. Otherwise, ‘wipes’. Don’t use the seat-back pockets. They tend to be filthy and accumulate all sorts of ‘stuff’ form other passengers. With a sanitary wipe, clean your tray table (only if you’re going to touch it and use it). If someone coughs or sneezes nearby, Hold Your Breath! First, to dispel the myth that all air on an airplane is recirculated (and that you’re breathing everyone else’s air), today’s aircraft are always bringing in outside air and expelling ‘old’ air. Fresh air from outside the plane is bled from the engine’s compressors then HEPA filtered, heated, and processed in an air conditioning pack, and pumped into the cabin. 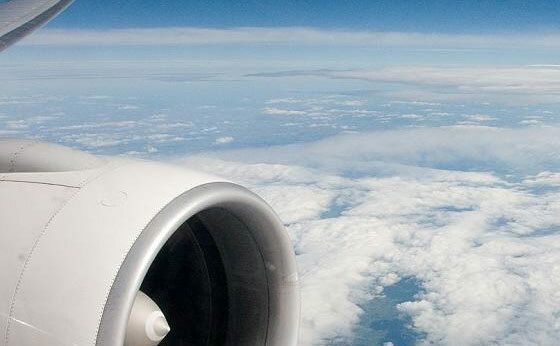 Cabin pressure is controlled to approximately 8,000 feet altitude by outflow valves. Also, in most airplanes the filtered-renewed air does not flow from front to back, but from the ceiling to the floor. This also greatly minimizes cross-contamination of breathing someone else’s air – except from those immediately next to you. Don’t rub your Eyes, Nose, Mouth. Don’t touch your potentially contaminated hands to your eyes, nose or mouth. This is primarily how the flu or other germs will ‘get in’. Band Aid any cuts that you may have. Preemptively make sure… if you have any cuts, deep scrapes or wounds that you have them covered up (band-aid, etc.). An exposed cut or even slight skin tear can be an easy entry point for the flu or other such germs into your bloodstream. Make sure if you have any open wounds that you have them covered up (band-aid, etc.). Similarly, Wipe your arm rests and head rest. Do not use the seat back pockets if at all possible. Make sure you wash your hands before you eat. Wash your hands (20 seconds) before leaving the restroom. Avoid touching surfaces that you don’t need to touch. If someone coughs or sneezes next to you, hold your breath for (at least) several seconds. Similarly, look away from the cough (particles can infect via the eyes too). Don’t touch your nose or mouth. Here’s one: Avoid flying altogether!